As the flying mammals navigate complex environments, they make use of specialized brain cells that cooperate to build a coordinate system that works in three dimensions. An Egyptian fruit bat (Rousettus aegyptiacus), the species in which Finkelstein et al. discovered new head-direction neurons that form 3-D neural compasses used to represent spatial orientation.YOSSI YOVELBats possess a complex neural compass that tracks their movements as they expertly crawl or fly through their environment, according to a study published this week (December 3) in Nature. Arseny Finkelstein, a PhD student at the Weizmann Institute of Science in Rehovot, and colleagues used a newly developed tracking device to monitor the head angles of naturally behaving Egyptian fruit bats (Rousettus aegyptiacus) while recording electrical impulses from single brain cells. The researchers discovered that the bats have the head-direction sensing cells—which respond to directionality in the horizontal plane, or azimuth—scientists discovered three decades ago in rodents. But the team also found new types orientation cells: ones that responded to pitch, or vertical orientation, roll, or tilt to the left or right, plus cells that responded to combinations of those orientations. 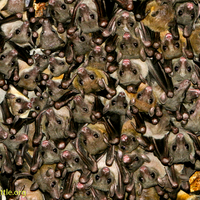 All of these cells combine to encode a doughnut-shape—or toroidal—compass within bats’ neural substrates that help them orient themselves in space as they perform impressive aerial feats, often in dim or lightless conditions. 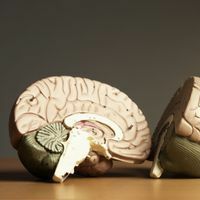 “We’re extremely high on this study,” said David Rowland, a postdoc in the lab of May-Britt and Edvard Moser at the Kavli Institute for Systems Neuroscience at the Norwegian University of Science and Technology. The Mosers shared a Nobel Prize this year recognizing their contributions toward the discovery of “grid cells,” neurons that help mammals generate a coordinate system to navigate their surroundings. Unlike bats, rodents tend to operate in more two-dimensional space. “[Finkelstein et al.] opened up this head direction system from two to three dimensions, which is obviously a huge step forward for our field,” Rowland added. Finkelstein and his colleagues determined that the bats they studied had neurons in the hippocampal–parahippocampal region of the brain that work together to form a representation of 3-D space that the animal then uses to sense where and how its body is positioned within that space. Implanting miniature electrodes thinner than human hairs into the brains of bats who were allowed to crawl or fly through experimental arenas, the researchers recorded nervous impulses from new components—pitch cells, roll cells, and cells that respond to combinations of orientation information—used to build this mental compass. And the picture of that compass that emerged looked more toroidal—or doughnut-shaped—than spherical. Combining inputs from all the different types of cells, bats maintain a toroidal representation of 3-D space, allowing them to more accurately track their position as they flip, spin, and bank through their habitats. This more intricate 3-D compass may set bats apart from rodents, which tend to become more disoriented when flipped upside down, for example. “[Bats] are more similar to primates than to rodents,” Finkelstein said. Meanwhile, in a Current Biology paper published today (December 4), researchers from Tel Aviv University show that three species of fruit bats that were once considered to rely primarily on vision and not echolocation for navigation do produce clicks from their wings that they use to perform a more rudimentary version of echolocation. When neuroecologist Yossi Yovel and his postdoc Arjan Boonman trained sophisticated recording equipment on fruit bats released in a completely darkened room, they heard audible clicks from the wings of the flying animals. “When we released these bats in this really dark room, they did something I had never heard before,” Boonman said. What’s more, Eonicturis major, the cave-dwelling species the researchers observed, clicked its wings louder and more than the species in their study that frequent forests and other comparatively more well-lit environs. To show that the bats were actually using the audible wing clicks to echolocate, the researchers trained the animals to land on a solid surface and not on a less-firm surface constructed of cloth. The bats could accurately discern, even in a dark room, the nature of the two surfaces and used their wing clicks to navigate to the appropriate perch. Yovel and Boonman also excluded other modes of producing the clicks—such as with the larynx or tongue—by running trials in which the bats’ mouths were sealed, and ones in which their tongues were anaesthetized. The only way the scientists were able to limit the clicks coming from the fruit bats was to in some way impair their wing beats. 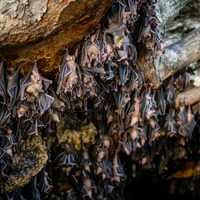 Yovel and Boonman said that they are still surprised to have found that bats typically considered to be non-echolocators actually do employ the strategy. 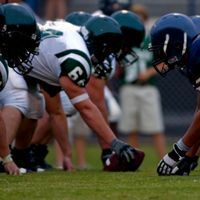 At the outset of their study, the researchers even placed a wager about the outcomes, Yovel betting that the bats did produce wing clicks and that the sounds were functional. “[Boonman] still owes me a very expensive dinner,” he said. 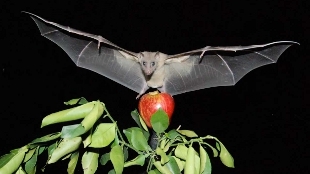 A. Boonman et al., “Nonecholocating fruit bats produce biosonar clicks with their wings,” Current Biology, doi:10.1016/j.cub.2014.10.077, 2014. A. Finkelstein et al., “Three-dimensional head-direction coding in the bat brain,” Nature, doi:10.1038/nature14031, 2014.